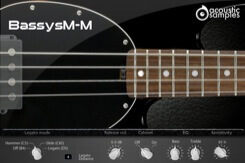 The Bassysm-M bass is a four strings Musicman Stingray bass with roundwound strings. Legato mode: you can choose wether playing a legato will trigger Hammer ons, slides, sustains, or simply have no effect. The legato distance will define the maximum interval that in which the legato will apply. The release Volume: the sound produced when you release a string if a note was going on. Cabinet: you can turn the Cabinet simulation on or off. 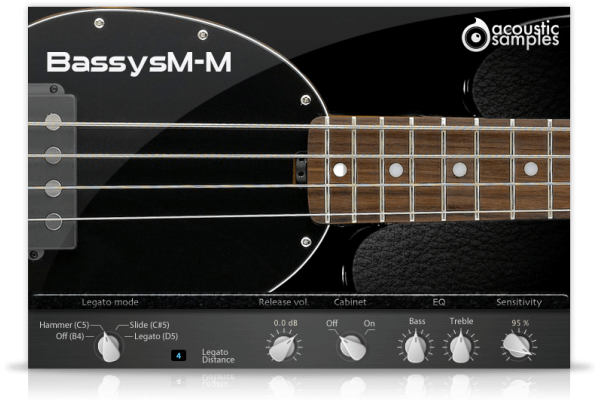 EQ: you can edit the Bass and Treble of the parametric EQ. 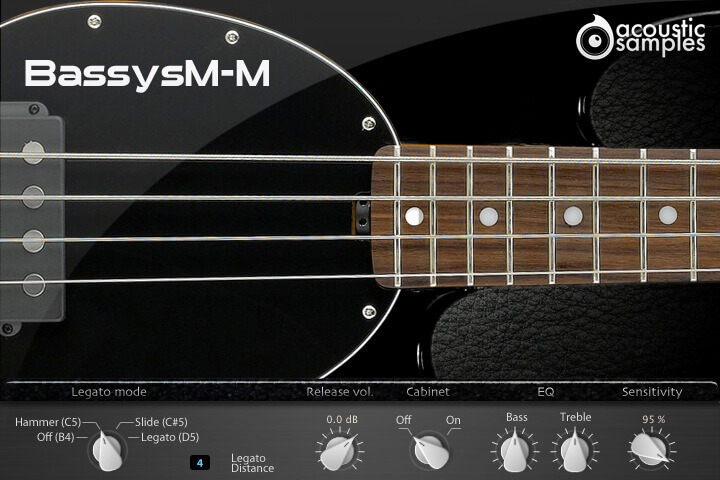 Bassysm-M comes with its own sample player, the UVI Workstation 3 (requires v3.0.0 or later). 260Mb uncompressed, 151Mb compressed in lossless flac format, around 855 samples. 11 Velocity layers for the sustain. 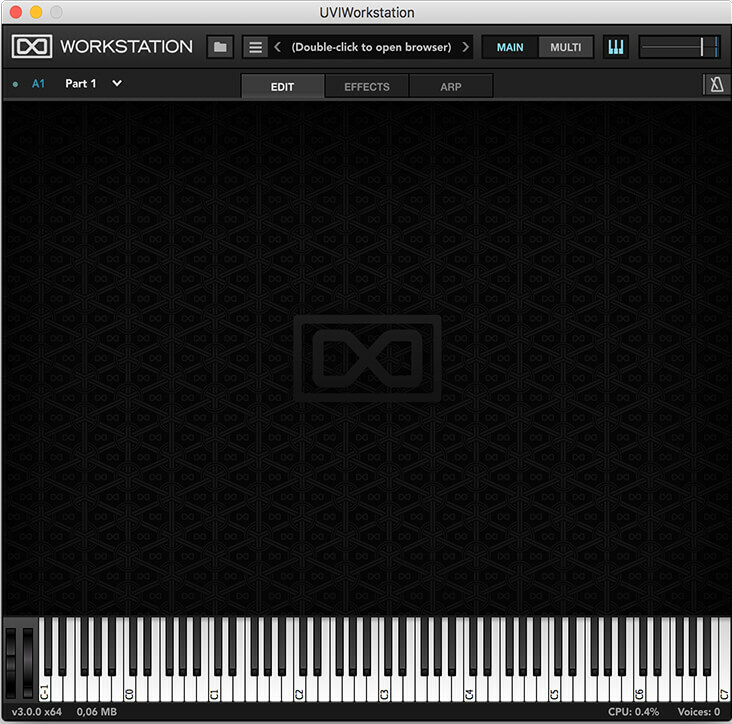 Advanced Vibrato effect controlled via modulation wheel. Harmonics, ghost notes, string hits samples.